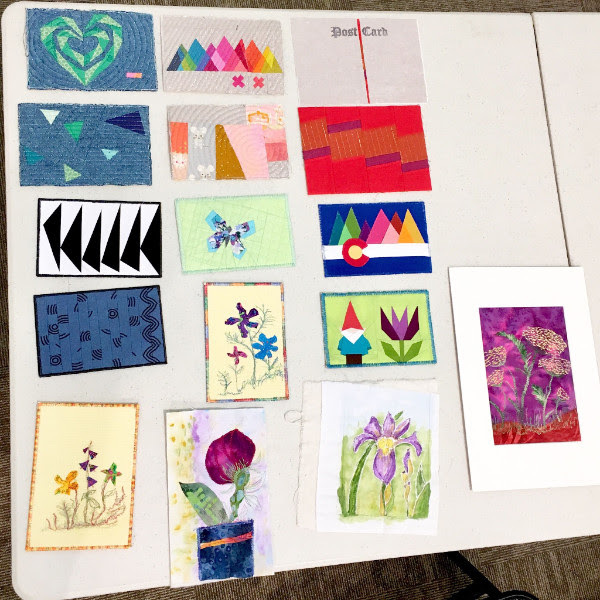 The July guild meeting at the Rocky Mountain Quilt Museum was inspiring! Julie and Erin showed two unconventional ways of framing mini quilts. And we shared some awesome quilted postcards that we’ll be sending to our partners in the Salt Lake and Madison guilds. Julie shared her technique on how to frame your quilts in a shadow box (it stands up by itself so you don’t have to hang it on the wall, so many possibilities! ), and Erin showed us her technique to wrap your quilts around a stretched canvas (showcasing the texture of the quilting while popping it off the flat surface of the wall). How New Is Modern? show catalog is live! Join us for a day of sewing with friends at Colorado Fabrics! Bring your own sewing machine along with a project (or two) to work on. The official time is 10:00am – 5:00pm, but feel free to drop in any time or stay for the whole day. This event is free and open to everyone, so bring a friend! We’ll have some stuff to giveaway throughout the day, as well as 15% off coupons for shopping in the store. RSVP isn’t required to attend, but there is a Facebook Event if you want to RSVP there or share the event. Our friends at Craftsy will be donating fabric for our quilt. Sign-up and fabric kits will be available at the August meeting so be sure to attend. Also at the August meeting we’ll brainstorm design ideas and go over the guidelines for our quilt. Wendy from the Epilepsy Foundation of Colorado sent a heart-warming note to the guild thanking everyone for providing the superhero capes for their summer camp program. The kids loved the capes and were allowed to take them home. Translation: we may be making capes next summer, too! 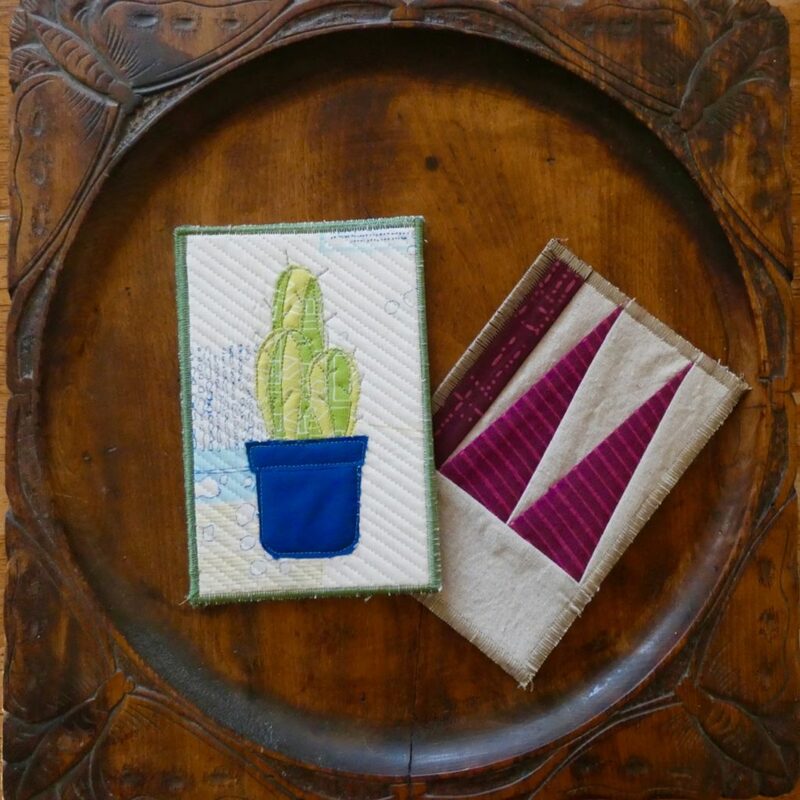 Timna Tarr is doing a curved improv piecing seminar with the FRMQG Saturday, August 25th. $50/members, $70/non-members, seats for non-members will open August 1st. See FRMQG for more info. There’s lots of good events and classes happening at Fancy Tiger in the next couple months (including 2 taught by Julie! ), check out their calendar. Programming: Charity Quilts! We’ll be talking about tips for making quilts to donate to charity, as well as the design for our guild’s 2019 Quilt Con Charity Quilt. Also, don’t forget to bring your quilted postcards that you received in the mail.